As Chief Researcher for Trails of Freedom, Justin Coleman is responsible for a broad range of fact-finding endeavors, laying groundwork for projects that incorporate biology, ecology, and history, as well as information technology and internet development. He was originally introduced to Trails of Freedom in Autumn of 2009 when he and Mary Campbell were invited by Jordan Coleman and Leigh Anne Mayberry, future executives of Trails of Freedom, to join a hike at Breakneck Ridge in New York’s Hudson Highlands. Coleman’s background combines the visual arts, computer technology, and non-fiction writing. His professional experience began with the development of database-driven software and websites for Connecticut-based businesses. He’s also worked as a freelance writer, both independently and with a major internet content distributor. 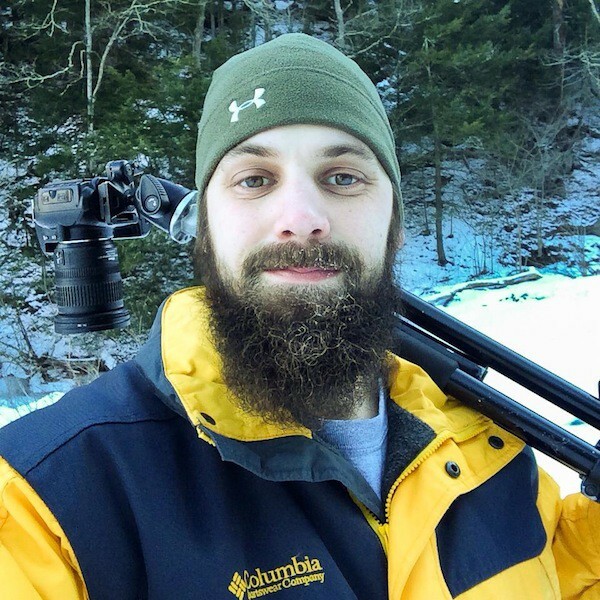 Since an early age, Coleman has possessed a ceaseless interest in visual art, beginning with drawing and painting and culminating in his passion for nature and outdoor photography. His fine-art nature and landscape photography can be explored at his online galleries on JGCOLEMAN.COM.